Medal and trophy cup centres. 25 mm and 50 mm available. 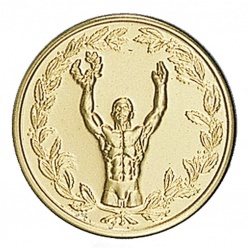 It is good idea to add gold centres to your medals and trophées and make them more specific to your sport or event. Many various images and sizes 25 mm and 50 mm are available. It is also possible to send us an image of your own logo, then we can create a custom made trophy centre for you. First place centers for cups and medals. Gold colour centers available in 25 mm and 50 mm. 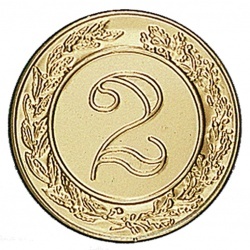 Second place centers for cups and medals. Gold and silver colours available in 25 mm and 50 mm. 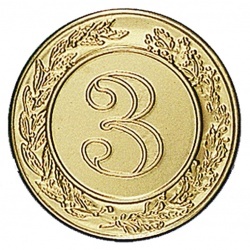 N°3 place center for trophy cups or medals. Available in 25 mm and 50 mm. Gold or silver colours. 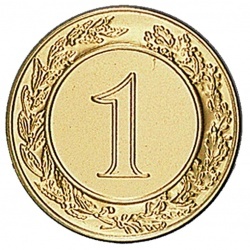 Gold centre for trophy cups and medals. Gold colour centers available in size 25 mm and 50 mm. Make your awards more specific to your sport or event. 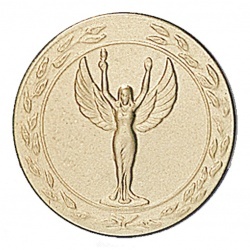 Winner - Gold centre for trophy cups and medals. Gold colour centers available in size 25 mm and 50 mm. Make your awards more specific to your sport or event. 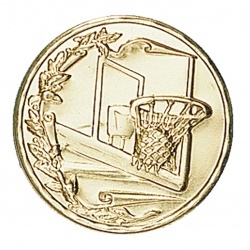 Basketball gold centre for trophy cups and medals. Gold colour centers available in size 25 mm and 50 mm. Make your awards more specific to your sport or event. 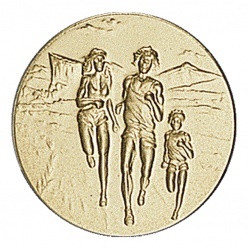 Marathon - Gold centre for trophy cups and medals. Gold colour centers available in size 25 mm and 50 mm. Make your awards more specific to your sport or event. 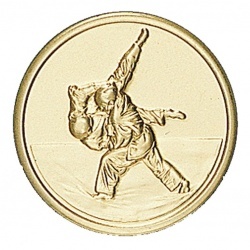 Karate gold centre for trophy cups and medals. Gold colour centers available in size 25 mm and 50 mm. Make your awards more specific to your sport or event. 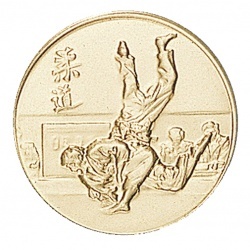 Judo gold centre for trophy cups and medals. Gold colour centers available in size 25 mm and 50 mm. Make your awards more specific to your sport or event. 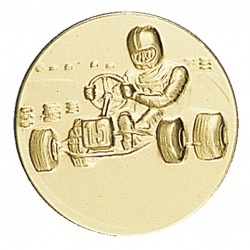 Karting gold centre for trophy cups and medals. Gold colour centers available in size 25 mm and 50 mm. Make your awards more specific to your sport or event.